I mean, bran flakes aren't flakes made for bran, so it's got to be the same for cats, right? 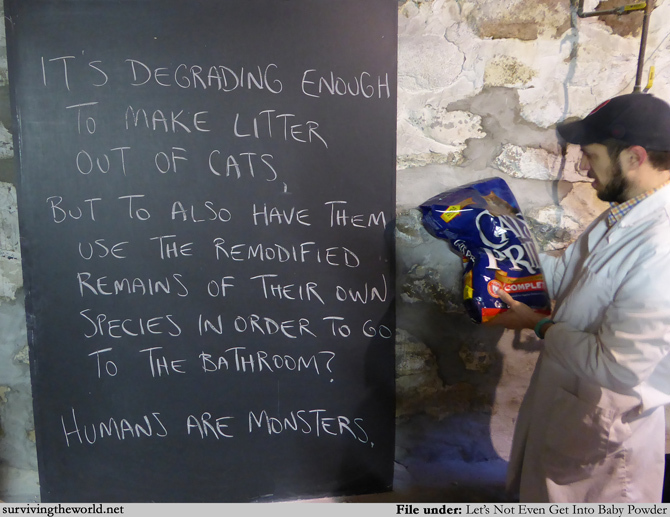 Not that cats aren't monsters in themselves, but, I mean, there's a line to be drawn in any ethical processing. Right?